In this edition of Muscle Car Milestones, we’ll take a look at one of the rarest Pontiac Firebird Trans Ams ever created. The Y88 Gold Special Edition was a one-year only special edition created exclusively for the 1978 model year. With the success of Smokey and the Bandit, sales of the Trans Am were on the rise. Pontiac kept this momentum going by releasing the Y88 Gold Special Edition. After the success of the 1977 black and gold Special Edition, Pontiac tried reversing the paint scheme and created the 1978 Gold Special Edition. The Y88 Gold Special Edition included Solar Gold paint with dark gold pin striping, gold headlight opening trim, gold Pontiac nose emblem, and gold tinted T-tops. Gold 15×7-inch snowflake wheels with gold emblem center caps were also standard equipment. The package added $1,259 to the price of the Trans Am. One of the most striking features on the car was a new 5-color “screaming chicken” hood decal. Also, Special Editions built after March 9, 1978, received black taillamp bezels instead of body color. Even in the Malaise Era, the Trans Am could still be equipped with some decent firepower under the hood. Buyers could get the W72 Performance Package which consisted of the T/A 6.6 engine with 20 more horsepower for a total of 220. This extra horsepower was created by using a better camshaft and tweaking the compression ratio. Buyers that ordered the WS6 Performance Package got 15×8-inch wheels, larger stabilizer bars, and quick-ratio power steering. Special Editions with both of these packages are highly desirable and bring higher selling prices. Inside, the special edition featured a Camel Tan interior, gold engine turn instrument panel, and tan Formula steering wheel with gold spokes. Cars with power windows received a gold Firebird emblem on the door panels and cars with an automatic transmission got a gold emblem on the shifter knob. Interior trim included was limited to base or custom Camel Tan vinyl or cloth. Figuring out if you have a true Gold Special Edition can be somewhat difficult. If the car has the original window sticker, invoice, or build sheet, look for option code Y88. On some cars, the code is stamped on the cowl tag located on the firewall. If these are not available, the only other way to be sure you have an authentic Y88 car is to contact the Pontiac Historical Society. For a fee, the PHS can get you a copy of the factory invoice, a letter decoding the car’s options, a copy of the dealer order form, and other info specific for the year and model. Supposedly, paint issues caused the discontinuation of the Gold Special Edition. Because of environmental concerns, cars painted at the Van Nuys, California assembly plant used a water-based paint that was notorious for having a green tint. There were also problems with paint mismatches, particularly on the bumpers and fenders. Due to these issues, many cars were repainted under warranty. Only 8,666 Y88 Gold Special Editions left the factory in 1978. This disco-era bird came out at a time when the Trans Am was the hottest thing on the road. 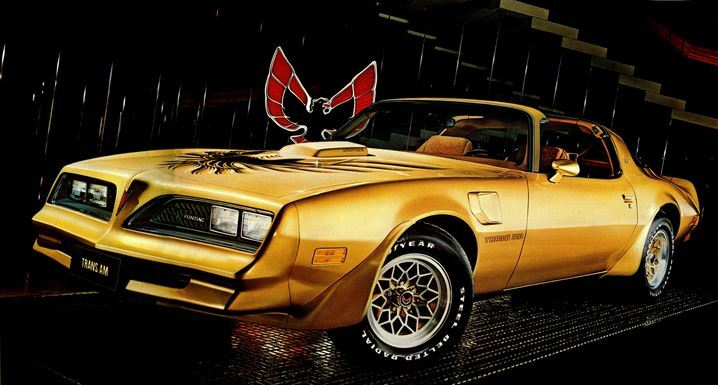 Pontiac continued to produce special editions but none were as “golden” as the Y88 Gold Special Edition.